The Model KPO5-43 (nominal 5-ton or 60,000 BTU) is a compact portable 32 inches wide and will fit through a standard 36-inch door. 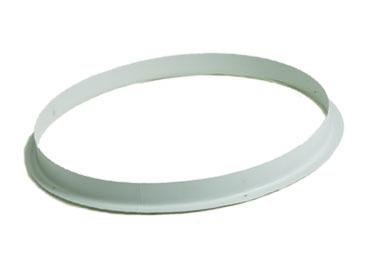 This small footprint that is ideal for difficult applications that require moving cold air to a hard to reach heat load, such as a sealed interior room. 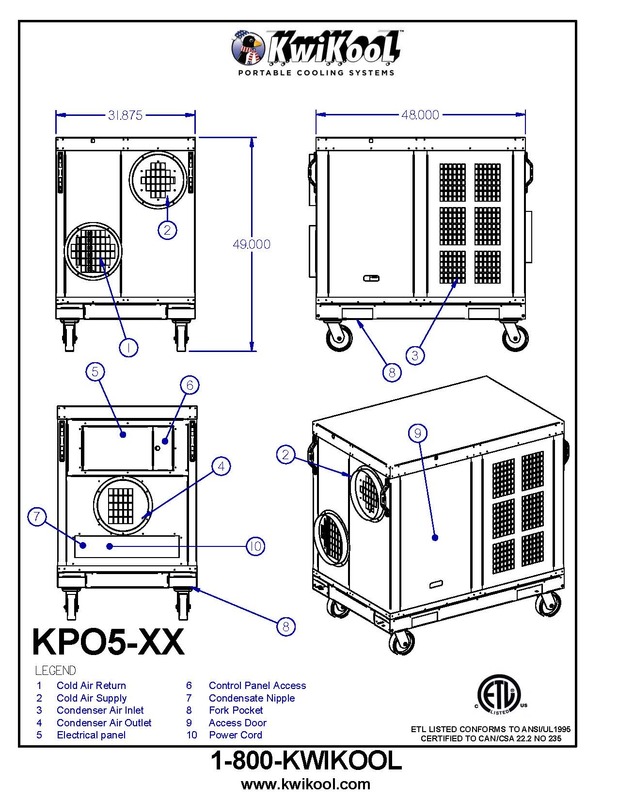 The KPO Series KwiKool’s Indoor/Outdoor Line of portables provide solutions for large capacity cooling. 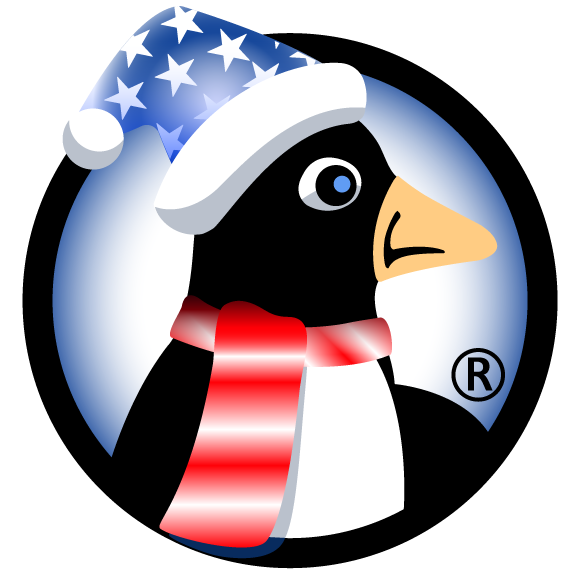 They provide temporary cooling needed when dedicated A/C units are incapacitated and in the midst of repair or service. 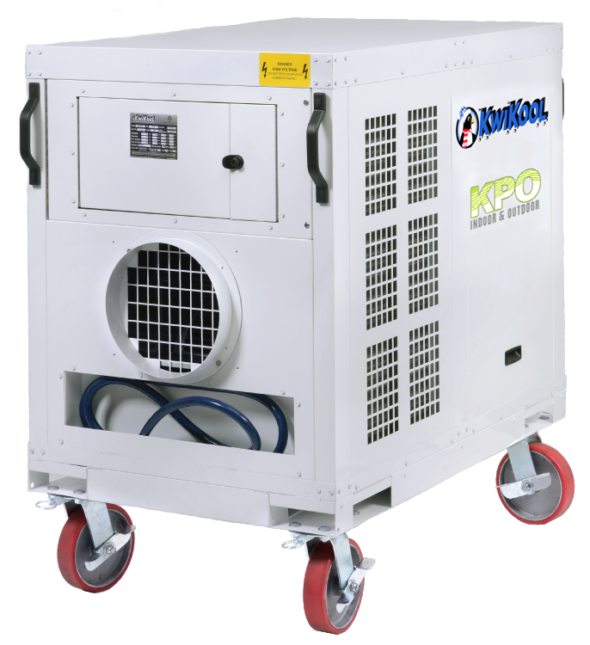 The KPO5-43 models are rugged units which provide continuous and reliable, powerful blowers. They can be placed outdoors and ducted into the building or placed inside and ducted into an interior room. 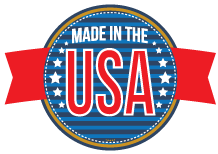 The KPO Series offers advanced airflow capabilities, up to 50 feet cold air return and supply and up to 65 feet of hot air exhaust ducting. Even when ambient temperatures are extreme, you can rely on The KPO Series. 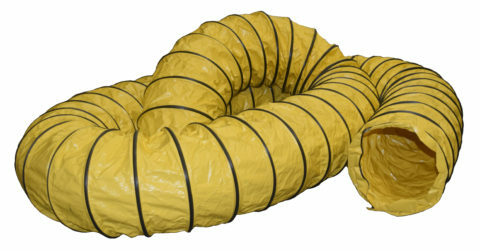 Maximum Duct length 50' each for supply and return.